One of North America’s most important bird areas, the Chesapeake Bay is a popular destination for birdwatching. The many habitats of the watershed attract waterfowl, aquatic birds, raptors, songbirds, and others. 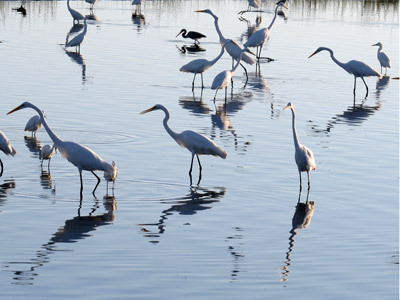 Birds and other wildlife can be viewed at national wildlife refuges, state parks, county parks, and private facilities which are located throughout the Chesapeake Bay watershed.